Last week I was honored to go to Washington DC with Safer Chemicals, Healthy Families along with over 200 other concerned moms, dads, business owners, doctors, nurses, and consumers to demand outdated chemicals laws be replaced with true protection for consumers. If you missed the story, you can play catch up here. Recently I was also happy to have the opportunity to sit down with the Consumer Reporter at a local CBS news station here in Orlando named Eryka Washington. 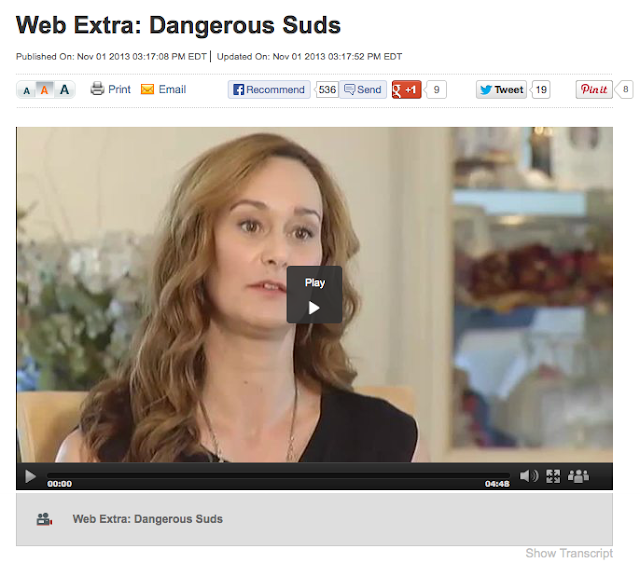 She was doing a story on a Cocamide DEA which is a lathering agent used in shampoos. 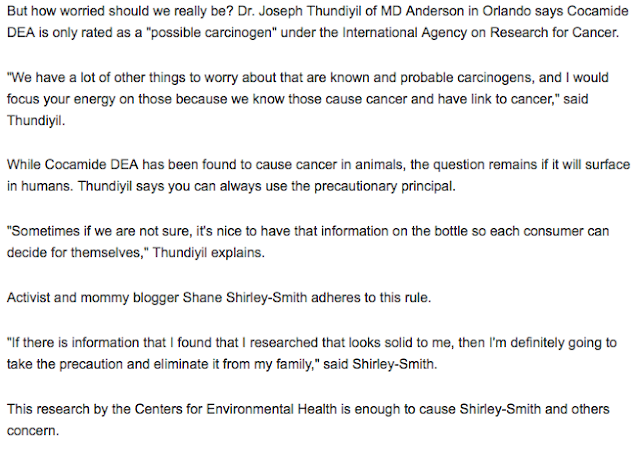 She wanted my take on the chemical listed as a possible carcinogen and I was fortunate enough that my comments made the story and the Web Extra which has been recommended on Facebook over 500 times! This is how we get the word out folks and I am thankful that I was able to talk about Safer Chemicals, Healthy Families and ask moms, dads and concerned consumers all over to join us. Thank you Eryka! !